I’ve had a lot of food from trucks lately thanks to my awesome location downtown during the week. 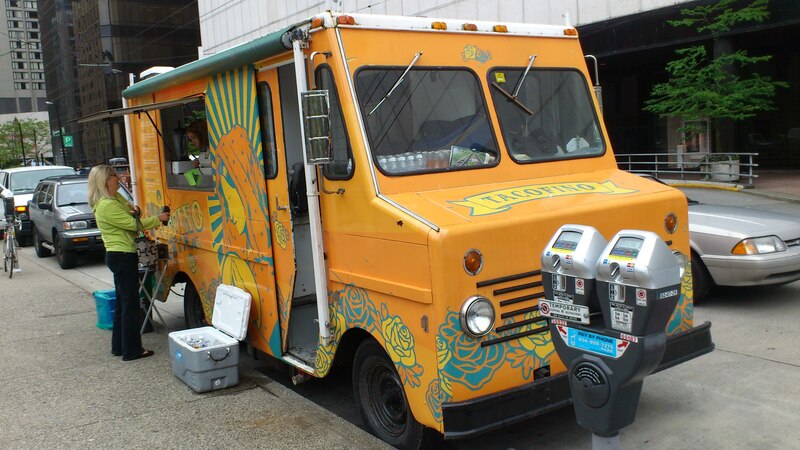 My latest street food lunch came from Tacofino, the orange taco truck, parked on Howe street outside the Art Gallery. 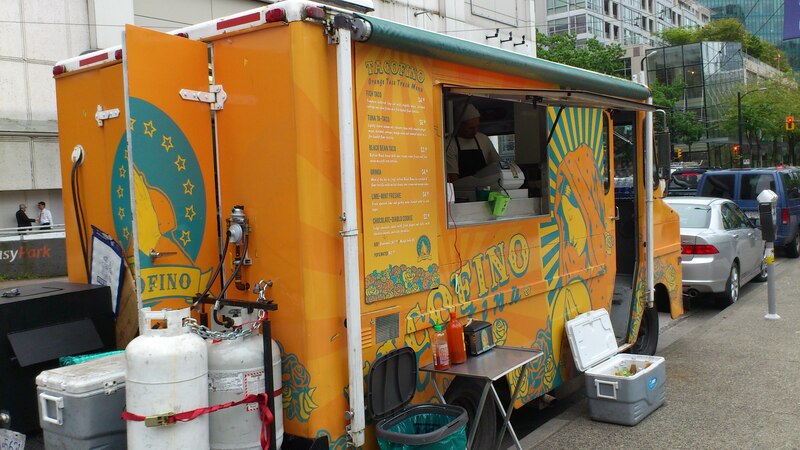 Tacofino also has a blue truck that serves burritos at Burrard and Dunsmuir and the original truck in Tofino. I had the Tuna Ta-Taco, actually I had two of them. Seared sesame soy Albacore tuna, seaweed salad, shredded cabbage, wasabi ginger mayo and mango salsa on a fire roasted flour tortilla. 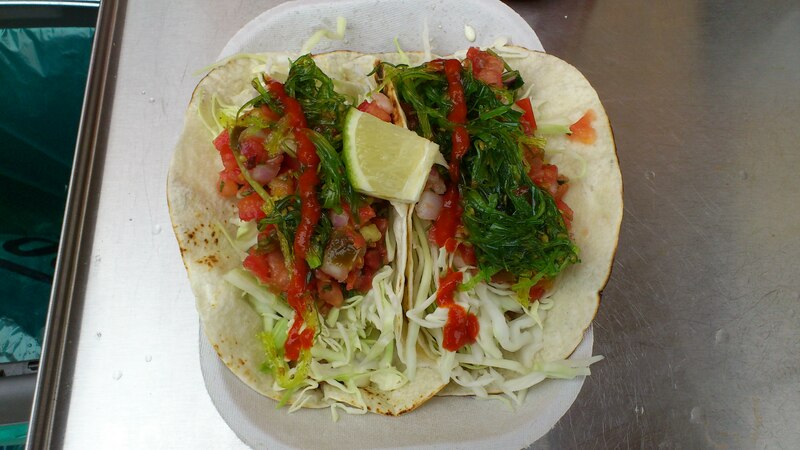 These taco’s are among the best fish tacos I’ve ever had, seriously good. The tuna is delicious, actually I’m not going to bother going item by item here because this whole taco just works together. All of the ingredients work so well together that it’s hard to focus on one at a time, just take a bite and enjoy. It’s made even better by the toasted flour tortilla with its subtle crunch. Street food rules. As always I use @StreetFoodApp to find great local food trucks and so should you!